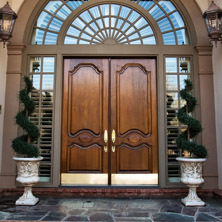 Your home is your sanctuary and here at Bill’s Lock & Key, Inc., we understand the importance of securing your home and your family. At Bill’s Lock & Key, Inc., we are always striving to stay on top of the newest technology. We can install electronic lock systems that lock and unlock your business on a schedule. 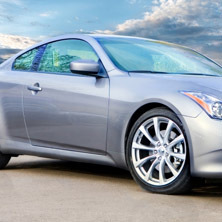 We have always strived to stay on top of the latest in automotive technology and can duplicate, produce and program keys for most all vehicles. We’re approximately 100 yards south of Montgomery on the east side of Wyoming. We’re in the same shopping plaza as Golf Mart and Eyeglass World. 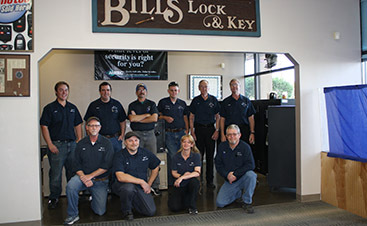 Dedicated to securing New Mexico since 1978, Bill’s Lock & Key, Inc., is your local, reliable 24-hour locksmith, here to help with all of your lock and key needs. 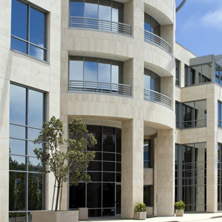 From commercial and residential hardware to the latest in automotive technology, we do it all. 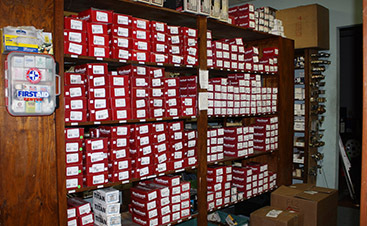 In our large, modern shop we have knowledgeable technicians ready to assist you 24 hours a day, and if you cannot bring it to us, we will come to you. With five full-service mobile technicians, we cover the Albuquerque Metro area and beyond. 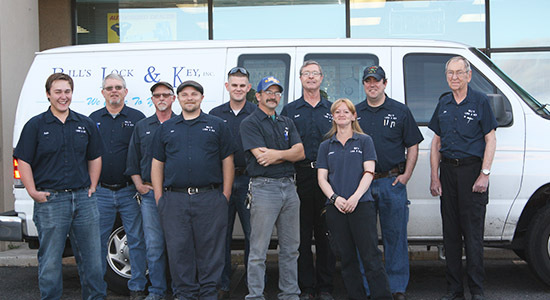 At Bill’s Lock & Key, Inc., our technicians are reputable, bonded and insured, assuring you top-notch service from friendly, knowledgeable people. When we go to your location, our technicians will arrive in a “Bill’s Lock & Key” lettered vehicle and in uniform with our company name embroidered on their shirt. We NEVER subcontract our work! Trust Bill’s Lock & Key, Inc., to handle all of your home and car security needs. 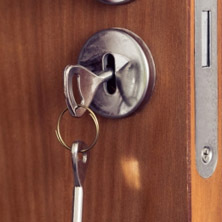 We’ve served as Albuquerque’s trusted locksmith for more than 40 years, and we continue to provide reliable, expert residential and commercial service. 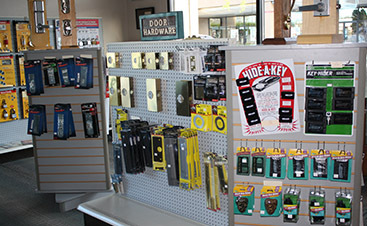 Whether you need an auto locksmith or you need lock experts to improve your business or home security, stop by the shop or call us for top-notch service and peace of mind.